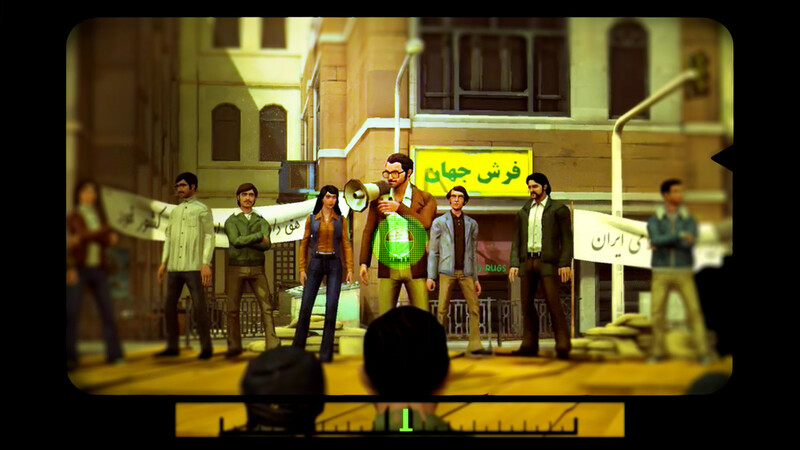 Ink Stories’ new narrative game tackles the Iranian Revolution, and Andrew tackles the game. Politics is a tough subject to approach in video games. It requires propulsive writing and firm tone, both of which are difficult to maintain interactively. Most games that tackle political subject material are merely action games set against a vaguely political backdrop. Add the intricacy of political situations and the sheer volume of information required - see the Democracy series’ cluttered interface - and you’ve got a recipe for disaster. Which is why it’s so refreshing to see, in 1979 Revolution: Black Friday, a bona fide political thriller that engages deeply and empathetically with its subject material, maintains interactivity, and stays riveting throughout. The political event in question is the Iranian Revolution of (you guessed it) 1979 - certainly not an event with which many Westerners are familiar. Iran, along with much of the Middle East, has seen a tumultuous history and many shifts in power, towards which we English-speakers are basically ignorant. These events aren’t ancient enough to be disconnected from today’s world, like the historical settings of Assassin’s Creed, but they’re also not recent enough (and, frankly, don’t involve white people enough) to be in the Western pop consciousness. We know there’s been unrest there for decades, but we don’t know how any of it came about. It’s even worse in video games: jingoistic American military games like Call of Duty offer a simplistic and sometimes downright false picture of the situation. 1979 Revolution’s Iran feels convincing and real. Through world-building details, video footage, and character beats, it's easy to see just how complex the setting is. As the game begins, the Shah has been overthrown, but there’s still massive conflict between the people’s revolution, the new Islamic regime, and more factions besides. On a character level, everyone’s fighting for different things - the people, faith, the government, independence, power, family, the truth - and the story frequently sees family conflicting with politics conflicting with personal life. The personal life in question belongs to protagonist Reza Shirazi, a photographer who’s been arrested by military police and sent to the notorious Evin prison. Through a series of interrogations, we flash back to Reza’s induction into the cause and play through the birth of a revolutionary. The story goes by in twenty short chapters, paced quickly, and each time we return to the interrogation room, we’re more and more invested in Reza’s plight by virtue of our decisions. Like Valiant Hearts and Never Alone, 1979 Revolution contains in-game dossiers on the real people and events upon which it’s based. The game makes a big deal of its historical accuracy, and you really can learn about this fascinating, turbulent period if you want to. But though it’s necessary to communicate, the density of history can be overwhelming. Characters speak in exposition rather than emotion a little too often, which takes the focus away from character and towards the dense plot, and in the beginning it feels like work just parsing what’s going on. But when the drama works, it really works, and you soon ease into the story. For a while, I was frustrated at Reza’s reluctance to get involved, until I realised that was a conscious option the game was giving me. Sometimes, not taking action can be a powerful statement as well. Early on, you’ll learn you can actually die in dialogue encounters, which ups the stakes significantly. Later on in the game, there’s a bit of dialogue that points out the cyclical nature of these upheavals. Given that unrest in the Middle East continues to this day, it’s a stark reminder of how relevant the story is. Mechanically speaking, there’s not much new in 1979 Revolution. If you’ve played a Telltale game, you’ll be right at home: gameplay consists of walking around, talking to people, interacting with objects, and making Big Decisions - even the “this character won’t forget that” messages are present and accounted for. That Reza is a photographer adds a camera minigame (and even a developing minigame!) to the mix, revealing information about your subjects as you snap away. Some sections are a little clunky, like when I clumsily bandaged a character's wounds in the worst way possible and got away with it. Others are mystifying, like when you’re asked to identify a double agent out of nowhere, from characters you haven’t really been scrutinising. 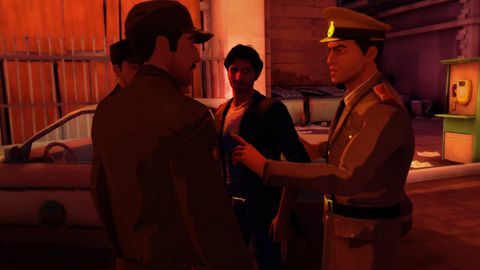 For all its borrowing from Telltale, though, 1979 Revolution lacks the polish of that studio’s work (and Telltale isn’t known for having the most flawless code). The sheer scale of Ink Studios’ ambition may have been too great for its capabilities - after all, QA is expensive. The dialogue system often gets confused, repeating lines or having characters talk over top of one another; characters get stuck in weirdly looping animations; scene transitions could use a little fine-tuning. Character and object models can look a little rough, with low-res textures that feel poor-quality rather than like they belong to a particular art style. For all the drama in the game, the engine and animation don’t do the writing or the superb voice acting justice. And if you make a fatal mistake, get ready to play through whole sequences, thanks to the conservative placement of checkpoints. As annoying as those issues are, however, the atmosphere created by the story easily overcomes them. 1979 Revolution deals with complex issues like income inequality, the causes of anti-Americanism, religious rule, and the purpose of violence, and does it all fluidly. The tension rises constantly as the characters become more and more paranoid, evoking the best grimy ‘70s political thrillers. 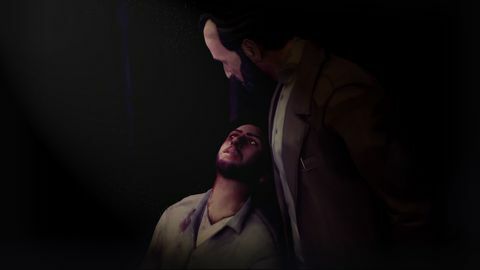 It’s not without its truthful, quiet touches, but the mood of 1979 Revolution is one I haven’t encountered in games before. 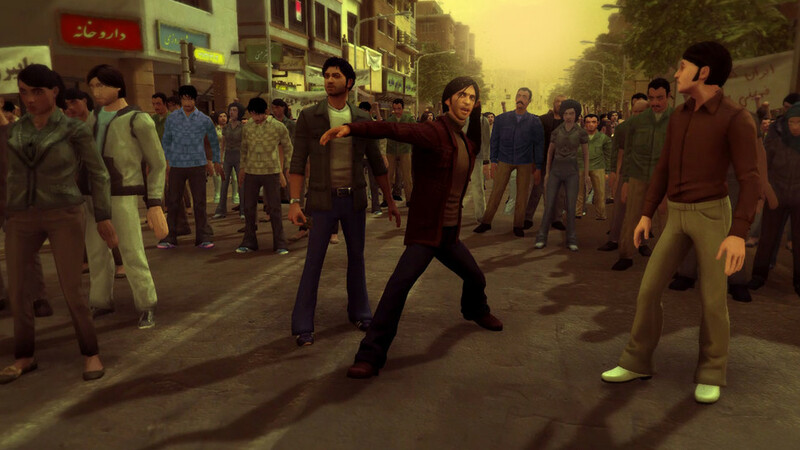 1979 Revolution: Black Friday is a game about revolution and the ways in which it can be enacted. Do you stage a violent uprising, or try to win a war of words? Is there any way to serve everyone all of the time? And how long can you go without picking a side? These are complicated, messy, intellectually demanding issues, and I applaud Ink Stories for taking them on. 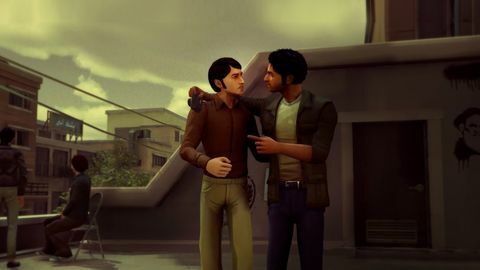 1979 Revolution: Black Friday is a groundbreaking game, not in terms of gameplay, but in its depiction of real historical events in an accurate, thoughtful manner, and its exploration of a genre rarely touched by video games. Ups Tense, grubby, pacey political thriller atmosphere. Great voice acting across the board. Unique and believable historical setting. Has lessons to teach everyone. Downs Clunky engine issues. Density of history overwhelming at first. Some art assets distractingly rough.